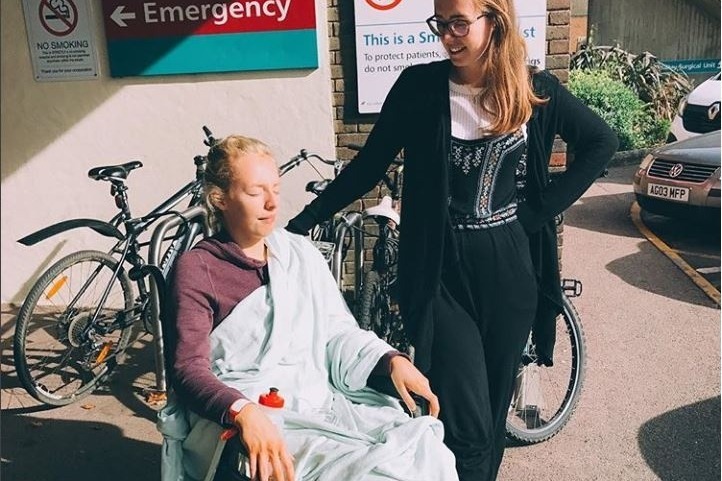 Laura Sylvester, 25 and studying for a Masters in Petroleum Geoscience at Imperial College London, is in urgent need in medical crowdfunding a total of £300,000. To date, Laura and her family have been able to medically crowdfund a total of £220,000, but desperately still need to raise a further £80,000 to cover past and future medical expenses. 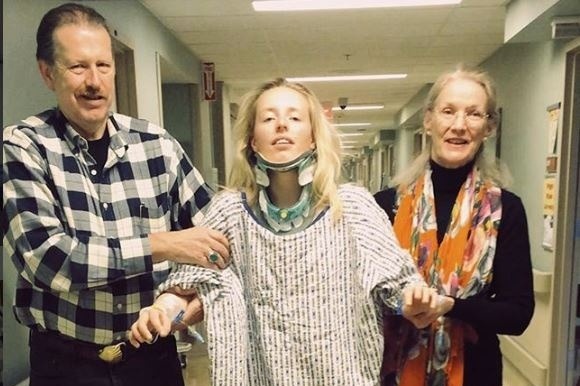 Since January 2016, she has gone through a total of 6 major brain and spinal neurosurgeries (three of which were life-saving) in Washington D.C., U.S.A and most recently undergoing pioneering brain surgery in Cambridge, U.K. Currently, she is prepping for her 7th brain surgery which is planned to be done in Cambridge, U.K. by a world-leading pioneering skull base surgeon scheduled sometime before Christmas 2018. 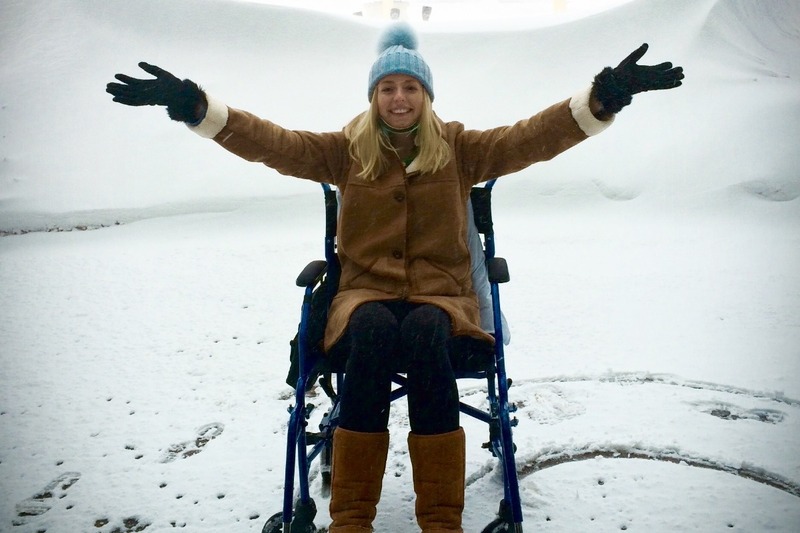 After graduating from the University of Leeds with BSc (Hons) Geological Sciences in 2014 and about to begin her Master’s degree, Laura was diagnosed with a rare genetic connective tissue disorder called Ehlers-Danlos syndromes (EDS), specifically Hypermobile Ehlers-Danlos syndrome (hEDS), along with many other co-morbidities one of them being PoTS (Postural Orthostatic Tachycardia Syndrome), Dysautonomia and Mast Cell Activation Disorder (MCAS). EDS causes the connective tissue (collagen) throughout her body to be extremely stretchy and easily breakable – there is no cure and there are currently no specialist EDS neurosurgeons in the U.K. 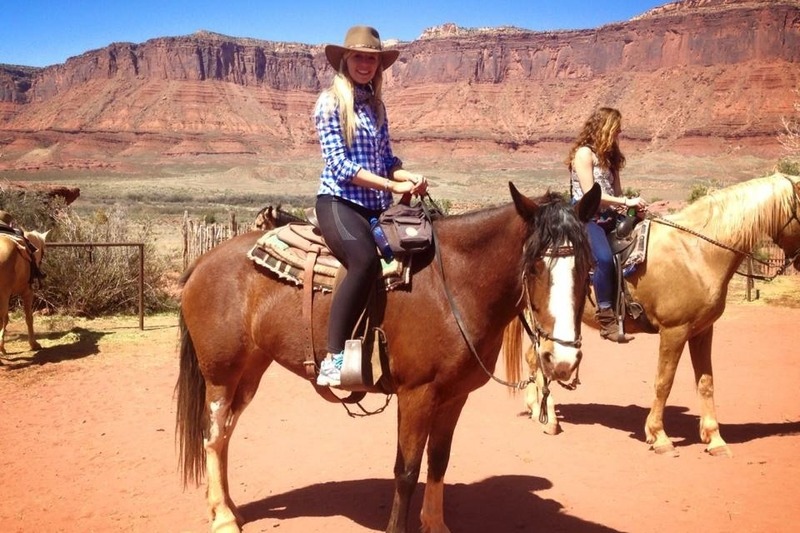 Unfortunately, during her MSc Thesis Project, this degenerative muscular condition caused her to deteriorate quickly causing her neck and spine to become extremely unstable. Laura was diagnosed with severe Cervical Medullary Syndrome, Craniocervical and Atlantoaxial Instability (dislocation/subluxation of her skull to C2 vertebrae), Chiari Malformation (brain sinking through her skull), Syringomyelia (fluid in spinal cord destroying nerves), disruption of her spinal cord ligaments and compression on her brain stem. This became life-threatening and she and her family were faced to raise £75,000 in just 4 weeks in order for her to fly to the USA for specialist neurosurgery to help save her life. Laura was suffering from extreme pain and severe neurological symptoms which included intense pressure headaches, loss of peripheral vision, complete numbness in both arms and legs, loss of control of her bladder, electric shooting nerve pain, blurred and double vision, loss the ability to read, write and walk. Sadly this forced her to take a “pause” in her MSc degree at Imperial College London. (4) 21st June 2016 - insertion of 3 stents into her brain after being diagnosed with Cerebral Venous Sinus Thrombosis (CVST brain clot). 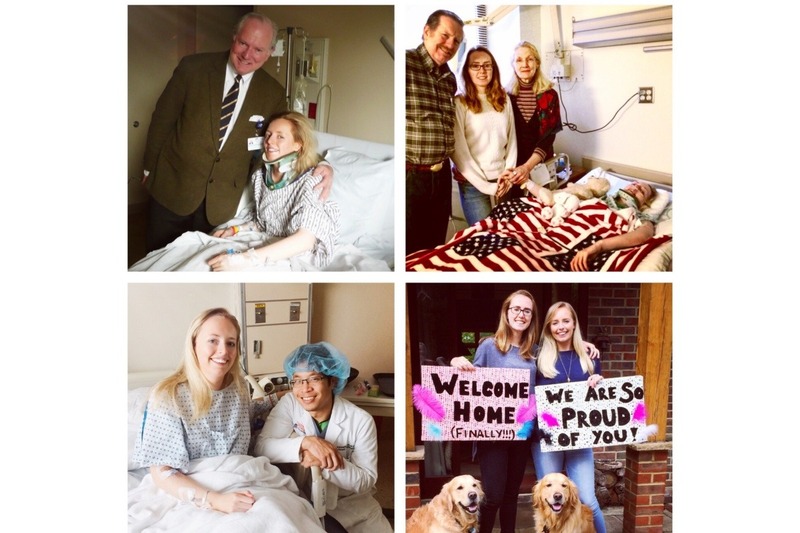 On 21st June 2016, Laura underwent her 4th lifesaving brain surgery at the University of Virginia where they inserted 3 stents into her brain to prevent further collapse of her other major veins. She was diagnosed with CVST which is a rare blood clot in the brain that affects only 5 in 1 million people per year. Sadly, 1 of her 3 major veins in her brain (Left Transverse Sinus Vein) had completely collapsed on top of the brain clot and was too dangerous to be fixed due to the high risk of a brain haemorrhage. This prevented blood to drain from Laura’s brain causing her to suffer from Idopathic Intracranial Hypertension (high fluid pressures in the brain) and debilitating neurological symptoms making her wheelchair bound (loss of peripheral vision, pressure headaches, numbness in both arms and legs etc.). Laura was the 54th EDS patient in the world to undergo this pioneering brain surgery, but the longevity and risks of this surgery are still unknown. Overall, the surgery was a success and for the first time in years allowed Laura to feel relief from chronic neurological symptoms, the greatest being having sensation restored to both legs and feet that has allowed her to re-learn to walk again which she thought would never be possible. After 8 months of undergoing specialist medical treatment in the USA, Laura returned home with her mother Jayne (who devoted becoming a full-time carer) in August 2016. Since returning to the UK, Laura was committed to rehabilitation and recovery as well as devoting her time to being an EDS Patient Advocate approaching the department of health to implement change. Unfortunately, since her return further complex neurological symptoms returned causing her to suffer from mini-strokes and pressure headaches which concerned specialists. 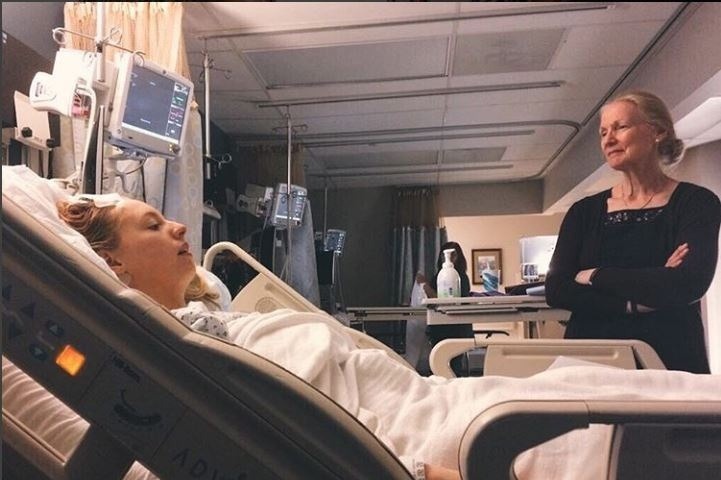 This led to Laura needing to return to the University of Virginia, USA in April 2017 to undergo her 5th brain surgery, fitting of a specialist Ventriculoperitoneal (VP) brain shunt to help reduce the high fluid pressure in her brain and reduce further brain and neurological damages. 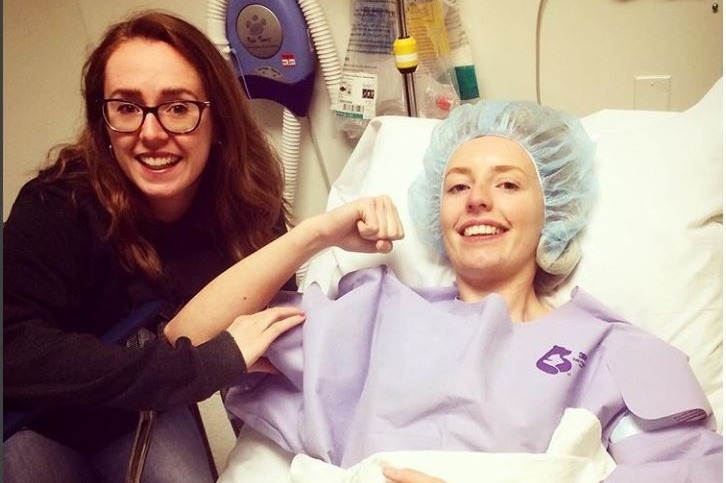 This surgery was life-changing and has allowed Laura to return back to finishing her MSc part-time as well as pursuing her patient advocacy roles. However, recent investigations in January 2018 conducted in Cambridge show that her Ehlers-Danlos syndrome has progressed causing severe blood flow problems in her brain and neck. Ultimately, there are multiple areas in her neck where her styloids, jugular foramen magnum and C1 transverse process bones are compressing major veins (both jugular veins) and spinal arteries. This is causing a 'backflow' of blood not being able to drain from her brain and neck properly which is causing spontaneous Cerebral Spinal Fluid (CSF) leaks and additional life-altering neurological symptoms. Specialists have a medical surgical plan going forward with Laura most likely needing a further 5 brain surgeries in the next few years to improve the bloodflow to and from her brain to prevent her suffering from further permanent brain and neurological damages. Laura underwent her 6th brain surgery in April 2018 at Addenbrookes Hospital in Cambridge to begin this pioneering U.K. treatment plan. As you can understand, this medical journey has been unpredictable and severely emotionally and financially taxing for Laura and her family. They are in desperate need to raise a total of £300,000 to cover all medical expenses since 2016 which include: brain and spinal surgeries, treatments, managements, diagnostic investigation tests and scans, specialist consultations, medications, physiotherapy, hydrotherapy, pain management, vision therapy etc. which have all played an integral role in Laura's treatment and management of her severe form of EDS. Laura is still focussed and determined on finishing her MSc at Imperial College in Autumn 2018 and MSc Thesis Project at Impact Oil & Gas Ltd to become an employed Petroleum Geoscientist. She also is focussed on pursuing her patient advocacy role as well as an inspiring through writing via her blog ‘Mind, Body & EDS’ to those who suffer from EDS sharing the harsh realities of living with a chronic illness and how to find meaning and purpose in life to never give up!